I remember a few years back reading a forum post from a teacher who refused to accept piano students younger than 6 years old… based on her opinion that preschoolers are simply not mature enough to maintain focus for a 30 minute lesson. Well… she got one thing right: preschoolers are not mature enough to maintain focus for a TRADITIONAL 30 minute piano lesson. But it doesn’t mean they aren’t ready for piano lessons. In fact, if there is an age group of children who need piano lessons the most, it is preschoolers. 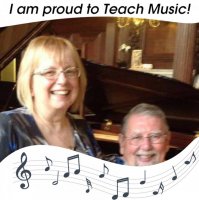 Music lessons, and piano lessons specifically, help develop neural connections in the preschool brain needed for mathematical understanding. With the WunderKeys program, we have a tried and tested system that works every time. If your preschooler is not taking music lessons yet, sign up now to see how much fun they can have learning music and maths too!